The launch of the Russian navigation system GLONASS – an alternative to GPS – has already been delayed more than once. However, in 2015 the system could finally begin operations. The company Russian Space Systems (RKS) is responsible for the promotion of GLONASS in international and domestic markets for space services. Why has the system’s release been postponed? According to Andrei Tyulin, the CEO of RKS, the main reasons for the delays have been organizational and technical problems. While preparing the system for launch, it was not possible to implement all of the technical specifications. However, According to Tyulin remaining oversights have been cleared up. “And in the near future we will get results,” Tyulin says. It is possible that GLONASS could be implemented later this year. Satellite navigation in Russia received the impetus for its development from the Ministry of Defense as the first device was developed specifically for the military. When the GLONASS system enters into operation, its chief user will be the Russian Ministry of Defense. However, several analysts are concerned that GLONASS’s military status could impede cooperation with foreign suppliers, since its satellites are primarily equipped with imported components. The new generation GLONASS series of devices will be created on the basis of the GLONASS-K1 satellite. During the testing process problems with the key elements of the navigation satellite were detected involving atomic clocks produced by the Russian Institute of Radionavigation and Time. 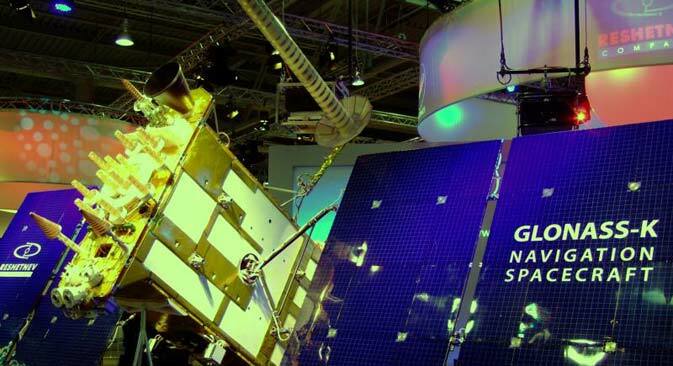 Recently there has been discussion in Russia of sending satellite construction orders exclusively to the company Reshetnev Information Satellite Systems, which works closely with the French-Italian aerospace manufacturer Thales Alenia Space. Tyulin does not support this initiative. Russian Space Systems has a joint enterprise with EADS Astrium (part of the Airbus Group) – Thales’s largest competitor in Europe. Could this lead to competition in the Russian market with RKS in partnership with EADS and Reshetnev Information Satellite Systems in partnership with Thales? Prior to the deterioration of relations with the West and the introduction of economic sanctions, the Russian Ministry of Defense was preparing to purchase a radio-electronic surveillance satellite system consisting of five spacecraft from a European company. The contract was valued at 70 billion rubles, but it never materialized.